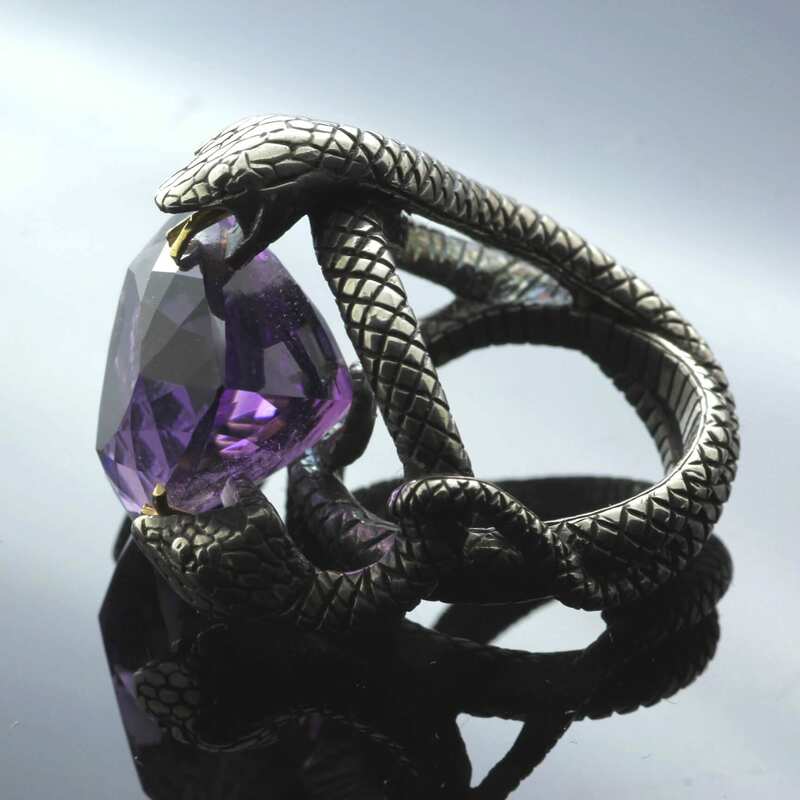 A truly unique cocktail ring, expertly crafted by Julian Stephens from the finest and most precious materials to create an breathtaking contemporary ring design. 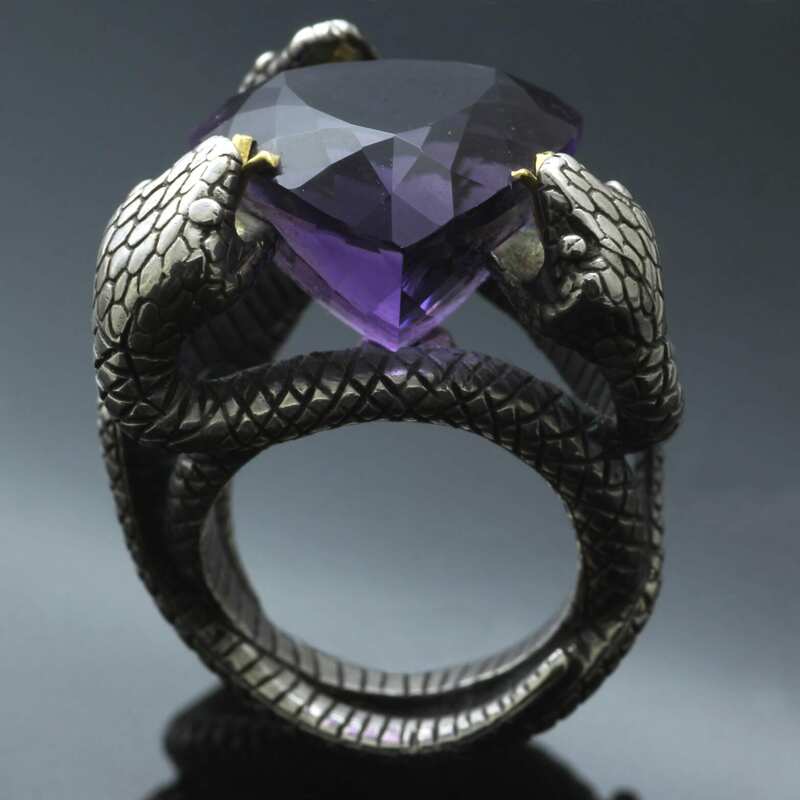 Inspired by dark, Gothic sources this glorious design sees a beautifully crafted trio of writhing snakes constructed from deftly textured, hand engraved solid Sterling Silver which cleverly wrap around to create the ring shank and the setting for an exceptional Amethyst gemstone. 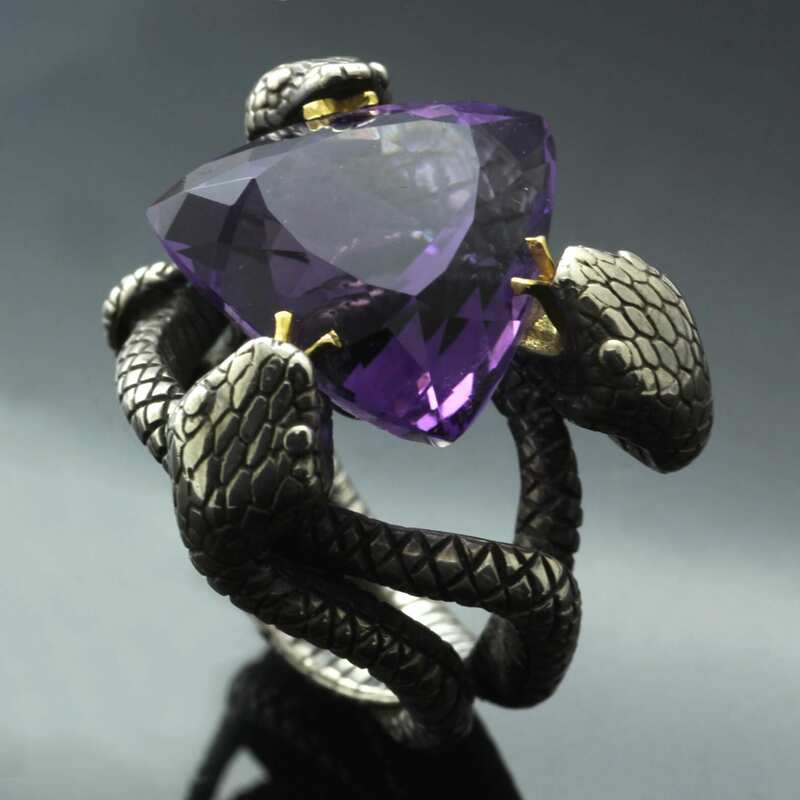 The Trillion cut Amethyst is mounted by the mouths of the snakes, adorned with 18ct Yellow Gold tongues to create the setting for this glorious gemstone. The setting allows the maximum amount of light to pass through the beautiful facets of this Trillion cut Amethyst, ensuring it dazzles, sparkles and glows an opulent purple hue. 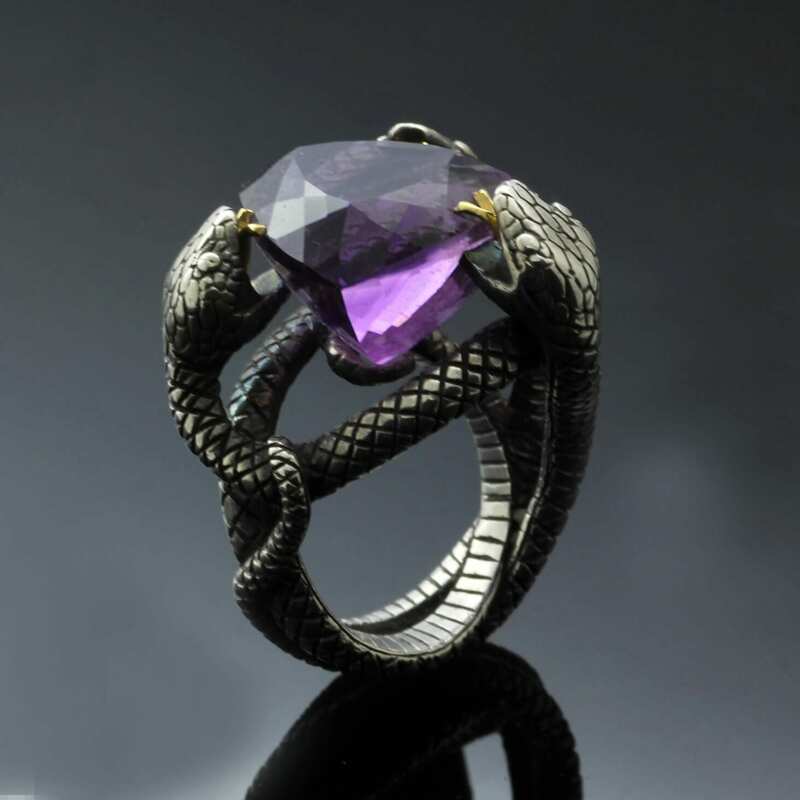 This extravagant and richly Gothic ring is crafted with the utmost care and reverence for the fine materials used, it proudly bears Julian Stephens exclusive makers mark and is fully hallmarked to indicate the brilliance and beauty of the materials used to create this stunning design.